Home > Dodo Juice Need For Speed Cleaner Wax 500 ml. Dodo Juice Need For Speed Cleaner Wax polishes and waxes in just one application. This one step cleaner wax is the best way to get glossy, smooth paint in less time. Dodo Juice Need For Speed Cleaner Wax contains mild abrasives, sophisticated cleaning agents, and Brazilian carnauba wax to give your vehicle a “Juiced” finish in one simple step. Everyone wants an amazing looking vehicle but we don’t always have the time to put into the process. Dodo Juice Need For Speed Cleaner Wax is for the time-crunched detailer who’s not willing to sacrifice shine. Dodo Juice Need For Speed Cleaner Wax is formulated with micro abrasives to remove light swirls, water spots, and other mild imperfections to smooth out uneven paint. Cleaning agents remove ingrained contamination and old wax to uncover the cleanest, shiniest paint. Then the carnauba wax comes into play with a layer of glossy, slick protection. All this in one quick step! Dodo Juice Need For Speed Cleaner Wax can be used as a one step polish-and-wax, or you can use it following paint correction with a buffer. If using this product as a finishing polish after correction, we suggest using a polishing pad on your buffer. The density of the foam will give it more polishing ability than if used with a soft finishing pad. Dodo Juice Need For Speed Cleaner Wax can be applied by rotary or dual action polisher, or by hand with a soft applicator. Dodo Juice Need For Speed Cleaner Wax works similarly to Lime Prime Prewax Cleanser but with the added benefit of built-in wax. It offers convenience and a glossy finish for those who feel the need… the Need For Speed. 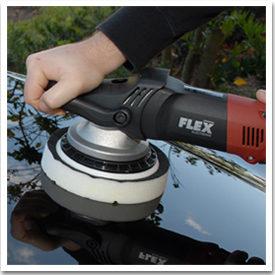 Use a soft foam finishing pad to apply Need For Speed with your polisher. For more polishing action, use a polishing pad. Work at a slow speed. Wash and clay the vehicle as needed. Shake bottle. Apply a small amount of Dodo Juice Need For Speed to a clean foam polishing pad on your polisher. Work at a slow speed and apply Lime Prime to once section at a time. Be sure to get good, even coverage. Work in a back and forth, overlapping motion until Need For Speed is nearly dried to a haze. Then buff off with a soft microfiber bonnet or towel. We recommend the Cobra Super Plush Deluxe 600 Microfiber Towel for safe, scratchless buffing. To apply by hand, wipe Dodo Juice Need For Speed onto the paint, section by section, with a clean microfiber applicator. 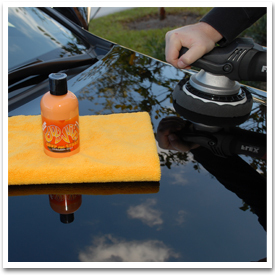 Wait 5 minutes and buff off with a Cobra Deluxe Jr. 600 Microfiber Towel.